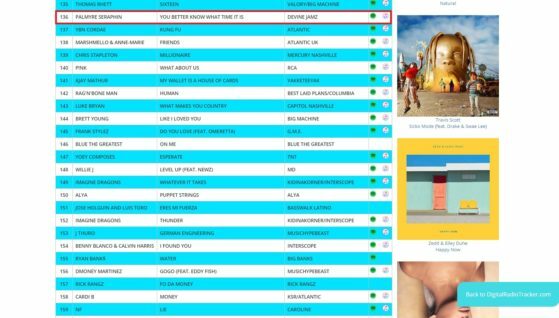 Week of 11/24/18 – As predicted by Christian Music Marketing Promoters with Devine Jamz Gospel Network, Featured Spotlight Artist Palmyre Seraphin Single “You better know what time it is” from the album “God on my side” was recognized as one of the top 8 gospel songs to be favored in digital radio marketplaces. 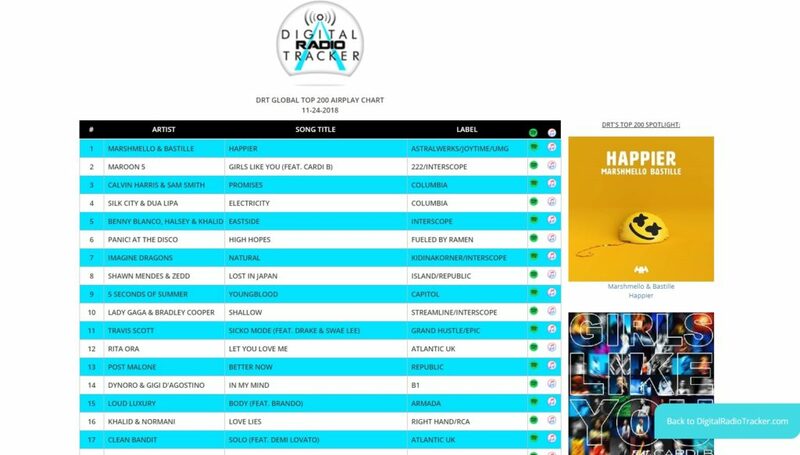 Let the record show in the week of 11-24-2018, Digital Radio Tracker (DRT) reported that Palmyre’s song ranked at #8 on the Global Top 50 Gospel / Inspirational Airplay Chart! 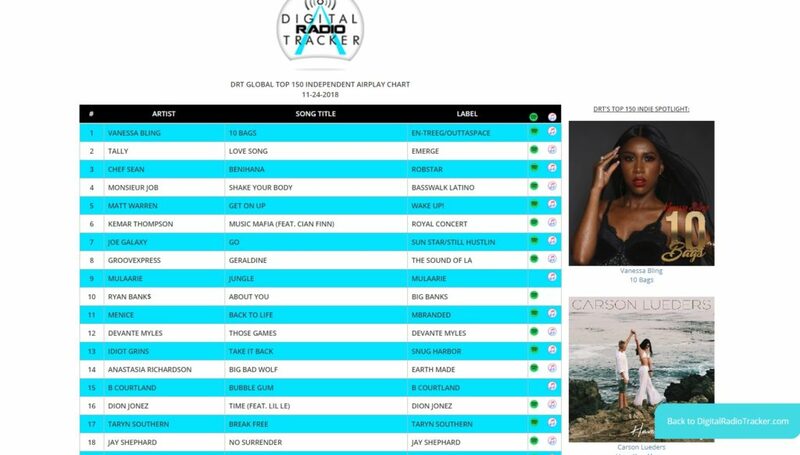 Digital Radio Tracker is a global broadcast monitoring source that tracks radio airplay of songs in the U.S. and worldwide on more than 5000+ radio stations. 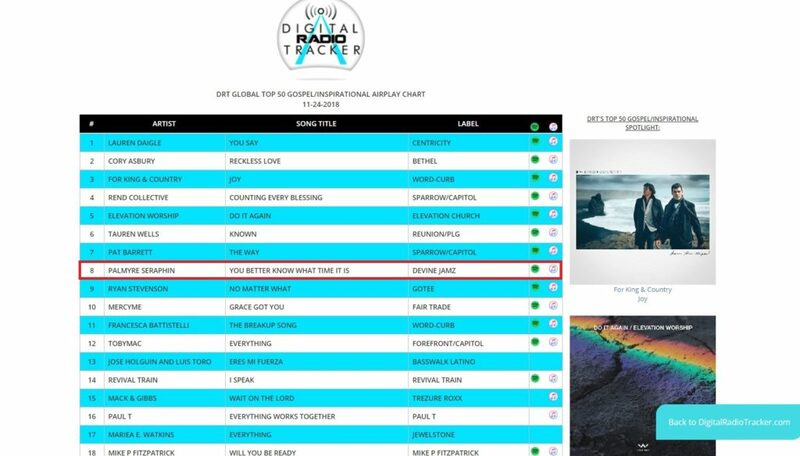 This makes the Multilingual Award-Winning Singer-Songwriter 7th consecutive week charting not only on the Gospel / Inspirational Airplay Chart but also Palmyre Seraphin hit #136 on the Global Top 200 Airplay Chart and #46 on the Global Top 150 Independent Airplay Chart! The amazing achievement about Palmyre’s success is that she is a full-time Secondary Educator with a Masters Degree and somehow she finds time to write, record, and perform live in the New York City surrounding area. The fact of the matter is that there’s no telling which national stage we might hear Palmyre’s music. Since she sings in four languages perhaps we will see her on the world stage! 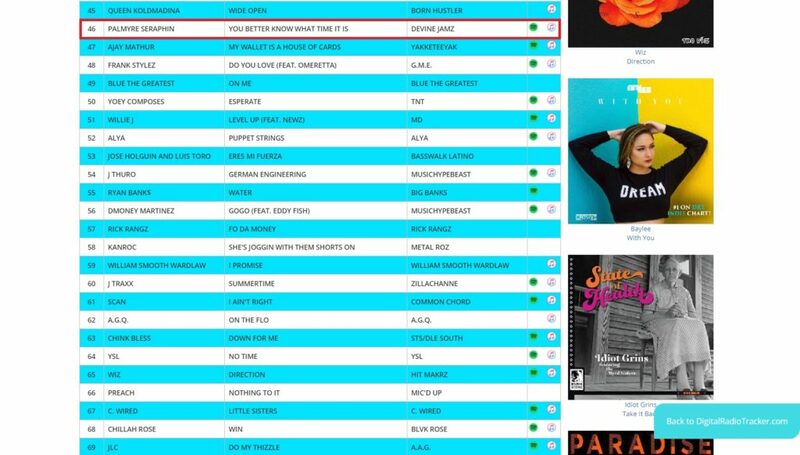 In the meantime, Devine Jamz Promoters has prepared for Palmyre’s next target marketplace, which is FM Radio Stations in the U.S. and in Canada! Palmyre received favor from French-speaking Canadians in the past and she hopes to receive their blessings in the weeks to come! Stay tuned for Nielsen BDS reports, which is another leading company that tracks monitored radio, television and internet airplay of songs based on the number of spins and detection. “You better know what time it is” has a bold and direct message, which speaks the Gospel truth. Palmyre’s intention is to share why she put God 1st and how she neglected to do so for many years. At the end of the day Palmyre hope that people will learn from her faults and success. The song offers a way for using time wisely. In the video below Palmyre gets transparent and share how her experience with death became the basis for her lyrics.